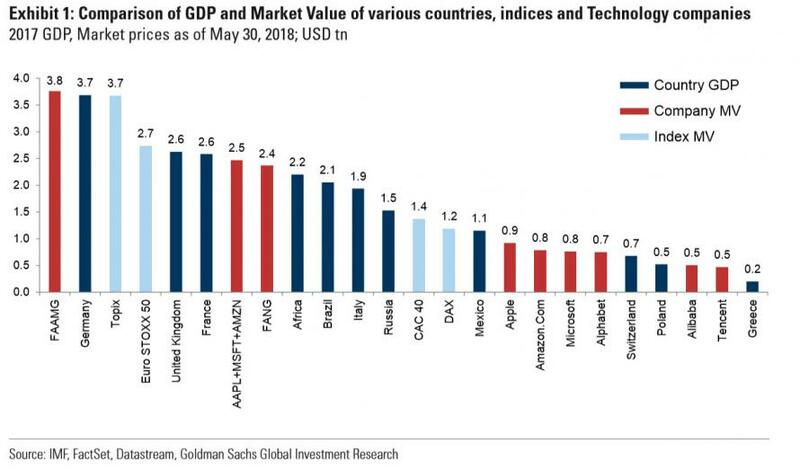 While Goldman Sachs, in a new report, goes out of its way to 'prove' that the current bubble in big tech is not a bubble at all, it has a funny way of showing it... by highlighting just how extreme valuations and market caps have become. Also this is one of the few sectors where Europe ‘dominates’ an industry and are often seen as having few substitutes. It is also the case that, like the technology sector, much of the success of recent years has been driven by genuine earnings growth. 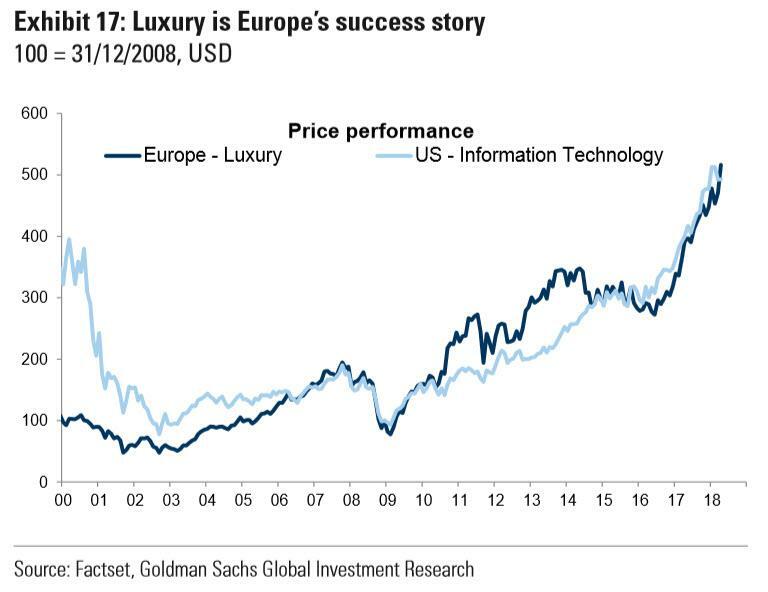 Unlike the technology sector, however, the luxury goods sector has a limited global market and the stocks are much smaller in terms of their impact on the broader market. 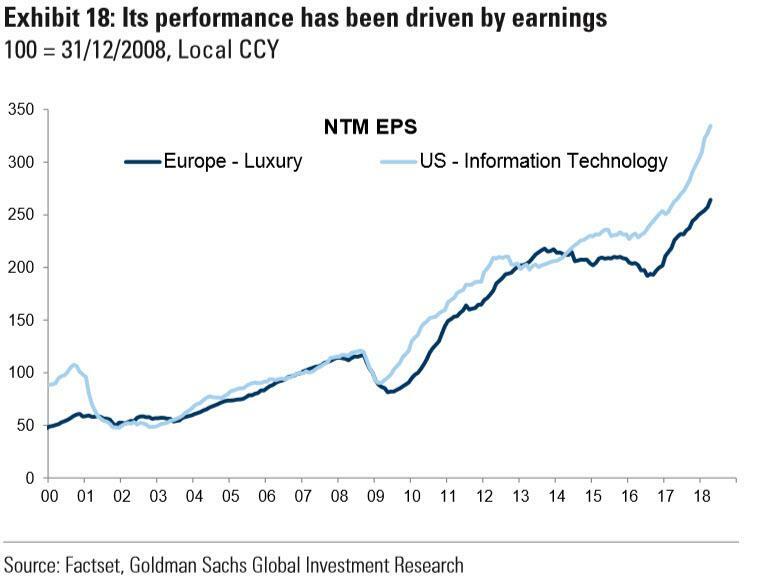 It is also worth noting from Exhibit 18 that while luxury has been successful in generating earnings growth it has underperformed the earnings of the technology sector over the last 10 years despite similar price appreciation. 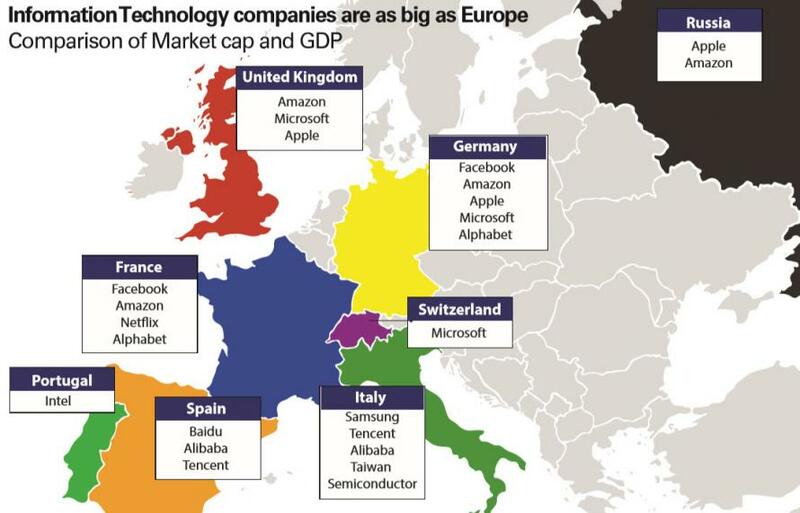 So, simply put, US big tech rules the world... for now.